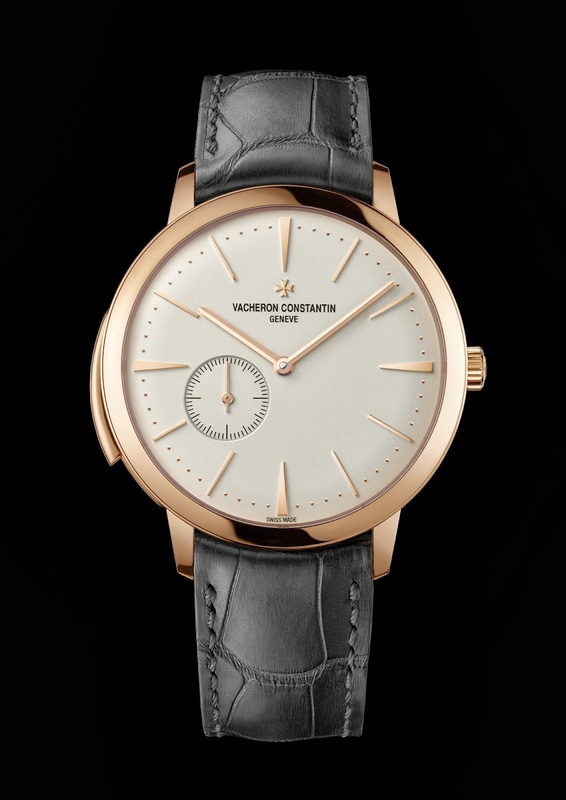 Vacheron Constantin introduces an exceptional ultra thin Minute repeater timepiece to the elite world of wristwatches with striking mechanisms, the horological complications acknowledged to be the hardest of all to produce. The Manufacture Vacheron Constantin has been creating such miniature marvels for over two centuries, and is now laying a new milestone with the Patrimony Contemporaine Ultra-Thin Calibre 1731, bearing the prestigious Hallmark of Geneva. This masterpiece of virtuosity combines the complexity of a striking mechanism with the additional challenge of producing the thinnest minute repeater calibre and the thinnest minute repeater watch on the market. At just 3.90 and 8.09 mm thin respectively, both the movement and the timepiece housing it are dedicated to the most accomplished expression of the watchmaking art. It was in the 18th century that the first minute repeater watch was devised to provide an audible indication of the time in the dark, in an era before the advent of electric lighting. While this complication is no longer an imperious necessity, it continues to represent the pinnacle of the art of watchmaking. That is because each miniature repeater watch is unique and bears the unique signature of the master craftsman who made it. Each lives its own life, plays its own music, while making way for fleeting moments of grace and emotion when its chime rings out. On demand, the minute repeater sounds the hours, quarter-hours and minutes. After activating the repeater slide – in this case the only element of this major complication visible on the dial side – a hammer strikes the low-pitched gong to mark the hours, while the quarters are played by two hammers on the two gongs – one low-pitched and the other high-pitched – and the minutes are sounded on the high-pitched gong. Rather than merely building on a heritage, Vacheron Constantin nurtures an authentic and enduring love story with striking watches. The Manufacture made its first minute repeater on a pocket-watch in 1810, before combining striking mechanisms with major complications throughout the following decades, in each case producing exceptional timepieces that were among the most complicated of their era. Watches that have made history, such as the one developed for King Fouad of Egypt in 1929, or the timepiece created in 1935 for his son, King Farouk. 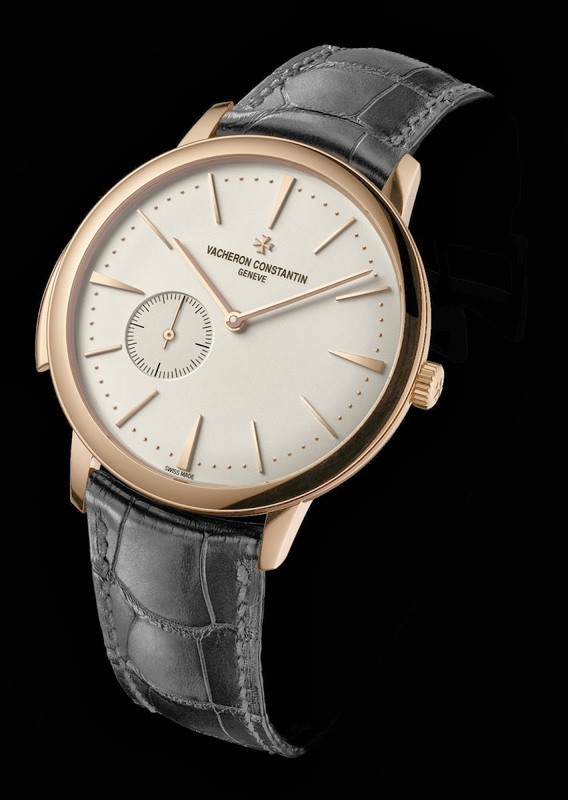 In 1941, Vacheron Constantin launched its first wristwatch equipped with a single complication in the shape of a minute repeater housed within an ultra-thin movement: Calibre 4261. The quest for extreme slenderness continued over the years, and in 1992, the Manufacture once again transcended the realms of possibility by presenting Calibre 1755, a minute repeater measuring just 3.28 mm thick . Today, Vacheron Constantin celebrates this emotionally charged complication with an all-new calibre inspired by its illustrious predecessors: 1731, thus named in tribute to the birth of the brand founder, Jean-Marc Vacheron. It was in 2009 that Vacheron Constantin decided to create a new minute repeater combining slenderness, a pure sound, aesthetic beauty, reliability and sturdiness. Four years proved necessary to solve this complex equation. 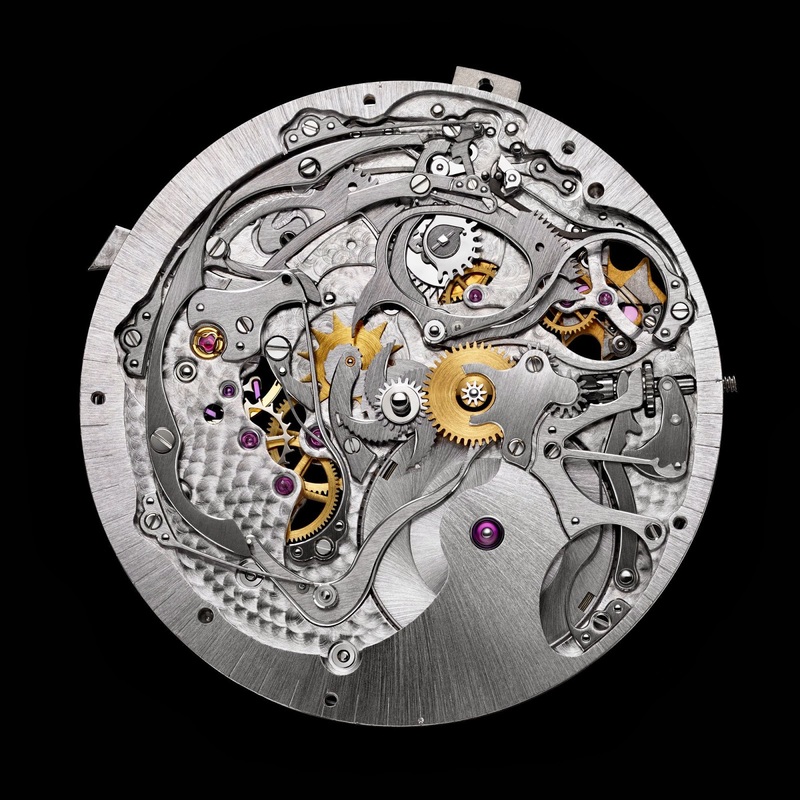 While the new Calibre 1731 is barely thicker than its predecessor from 1993 – 3.90 compared with 3.28 mm – due to its impressive 65-hour power reserve, it is nonetheless the thinnest on the market today, having successfully overcome the difficulty of assembling and adjusting parts that have been slimmed down to extremes. 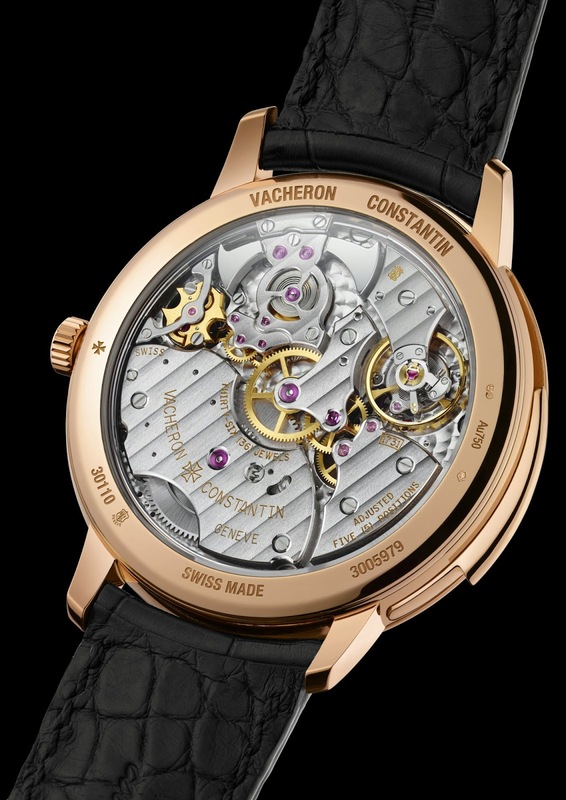 Nor are the technical feats confined to the ultra-thin side of its nature, since Calibre 1731 is equipped with a highly ingenious device developed by Vacheron Constantin in 2007 for the 2755 movement – another member of this exclusive family of minute repeater calibres: a flying strike governor. Contrary to classic lever-type governors, this one is completely silent. Its role is to steady the rate at which the hammers strike the gongs. Without a regulator or governor, this musical sequence would take place at the speed of the striking barrel-spring, and would merely produce a rush of indiscernible notes. The device developed by Vacheron Constantin comprises two inertia-blocks or weights designed to act as a brake on the rotating shaft of the governor and thus evening out the energy supplied by the barrel spring. To achieve this, it makes use of two opposing centrifugal and centripetal forces. When the governor spins, the centrifugal force pivots one end of the weights outwards so that the other end presses on the shaft so as to stabilise the rotation speed and thus ensure a steady cadence. Perfectly finished right down to the smallest details, the governor bears Vacheron Constantin’s Maltese Cross emblem, even though the latter cannot be seen from the front of the calibre. Particular care was devoted to the acoustics of the Patrimony Contemporaine Ultra-Thin Calibre 1731, since its sound is the very reason for being of a striking watch. Various technical choices were made to ensure a crystal-clear and entirely tuneful tone. The gongs are not only connected to the case middle to as to amplify the sound, but also for the first time stacked rather than placed side by side. The case is made to be as one with the movement, within a clever composition incorporating such subtle parameters as the airflow between the mechanism and the case, designed to achieve optimal propagation of the sound. The quest for perfection does not end there, since the case itself has been built without joints so that the elements can interact literally metal against metal and thus enhance the amplitude of the sound, while the flying governor ensures a steady rate of the hammer blows on the gongs. While each master-watchmaker instils his own music into the minute repeater that he will take several months to assemble and fine-tune, the sound of the movement will be subjected to the keen ear of the virtuoso striking mechanism specialists within the Manufacture, and will undergo certain adjustments in order to achieve perfect harmony between low-pitched and high-pitched notes. And it is at precisely at 4:49 that the tests are performed, since that is the time when the cadence is the most clearly audible due to the almost identical intervals between the hours (4 strikes), quarters (3 strikes) and minutes (4 strikes). The true soul of a repeater watch, the individual chime of each watch is recorded and carefully stored before it leaves the Manufacture, thus constituting a “soundprint” duly registered in the Vacheron Constantin archives. This procedure guarantees not only the lifelong repair of all its timepieces, both historical and contemporary, but also the ability to restore within its workshops the unique sound of each model equipped with a minute repeater. For a master-watchmaker, taking part in creating striking watches is a supreme honour. An art that requires gifted hands, lengthy experience combined with infinite patience, as well as a truly musical ear. Watchmakers capable of mastering striking mechanisms thus belong to an extremely elite circle. At Vacheron Constantin, only the master craftsmen working in the “Grandes Complication” workshop create such marvels. To enter this inner sanctum, they must have acquired at least 15 years’ experience in the various other workshops, before working for two years under the mentorship of a master. While the minute repeater is probably the most fascinating of all complications, it is also the most demanding due to the large number of tiny parts that must be patiently assembled and made to interact, before repeatedly setting and adjusting them to the point of achieving perfectly smooth running and an absolutely pure sound. A single watch takes from three to six months to assemble and adjust. Concentration is a must at all times, since one small extra stroke of the file on the base of the gong could muffle its tone. To work on such a complex mechanism, the master-watchmakers has over 1,200 tools, many of which he has made himself and some of which have been created to perform just one gesture. They form impressive panoply, even through a master’s supreme instrument remains his own ear. For it is in placing his own personal ‘signature’ on the model during the sound-adjustment phase that he breathes life into the minute repeater. Testifying to a degree of time-honoured know-how that sets an authentic Fine Watchmaking creation apart from the rest, the components of Calibre 1731 are patiently finished one by one, even though some will remain hidden. Whereas the mainplate is circular-grained, the hammers are specular polished so as to alternately catch the light or appear clothed in a deep black cloak so as to eliminate any trace of the finely worked surface. Meanwhile the bridges are enlivened with a delicate Côtes de Genève pattern to create a refined wave effect. 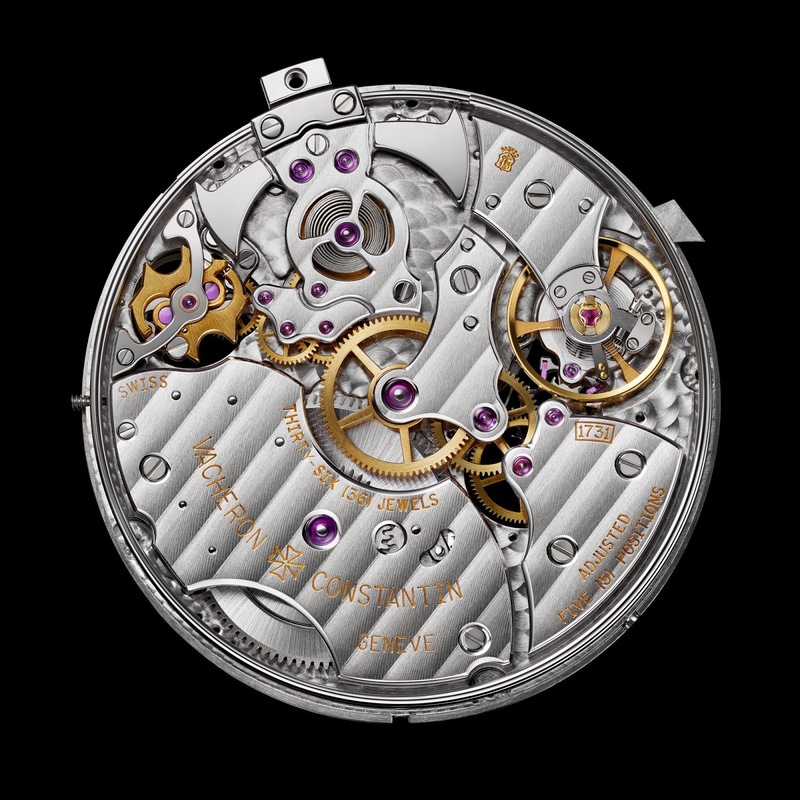 While the artisans of the Manufacture Vacheron Constantin are well accustomed to the various finishing techniques, there is one that requires a highly demanding 18-month training period: bevelling or chamfering, meaning the specific work on the interior angles, such as can notably be found on the seven bridges of Calibre 1731. The epitome of classicism conveyed through absolute purity, the Patrimony Contemporaine UltraThin Calibre 1731 conceals remarkable complexity beneath its apparent simplicity. 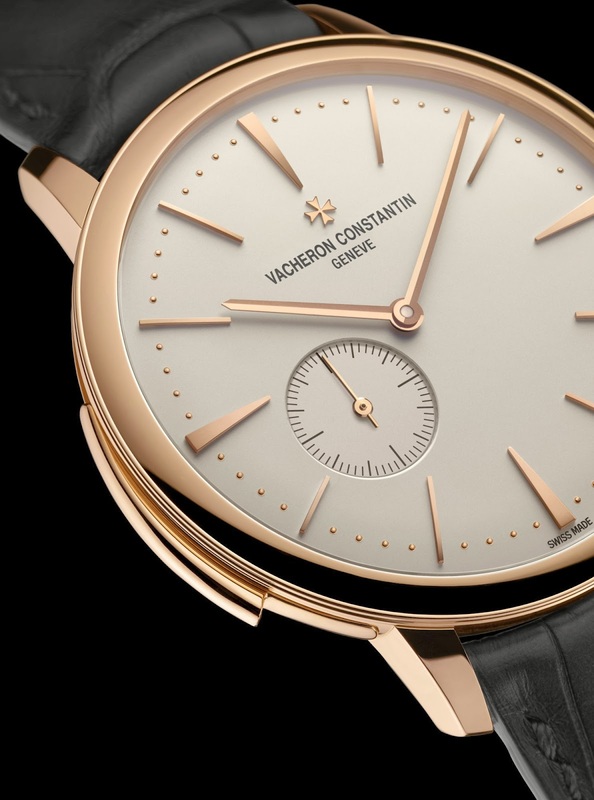 Its design is inspired by an ultra-thin model created in 1955 to mark the Vacheron Constantin bicentenary and then revived in 2004 to give life to the Patrimony Contemporaine, reference 81180. 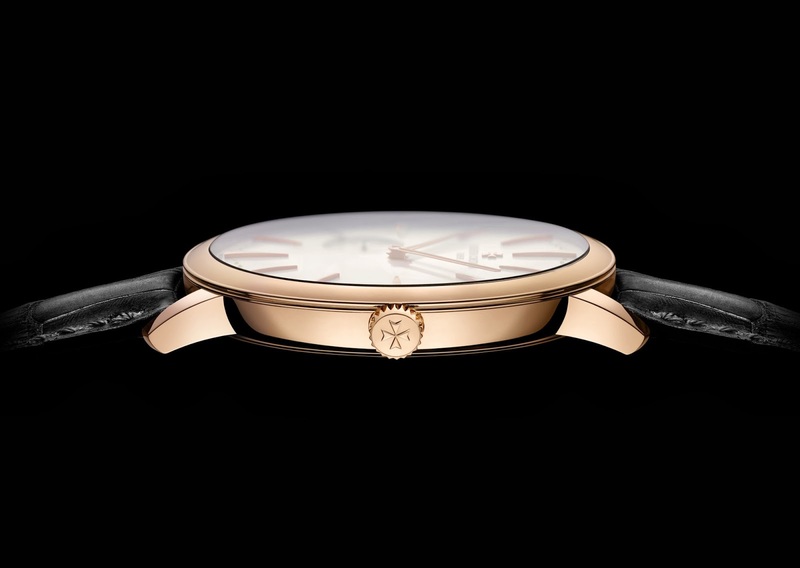 Since then, its extreme slenderness, its pebble shape, its curved bezel, its cambered dial and crystal, its beaded minute circle, along with its baton-shaped hands sweeping over alternating triangle and baton shaped hour-markers, have firmly established it as a timeless classic. 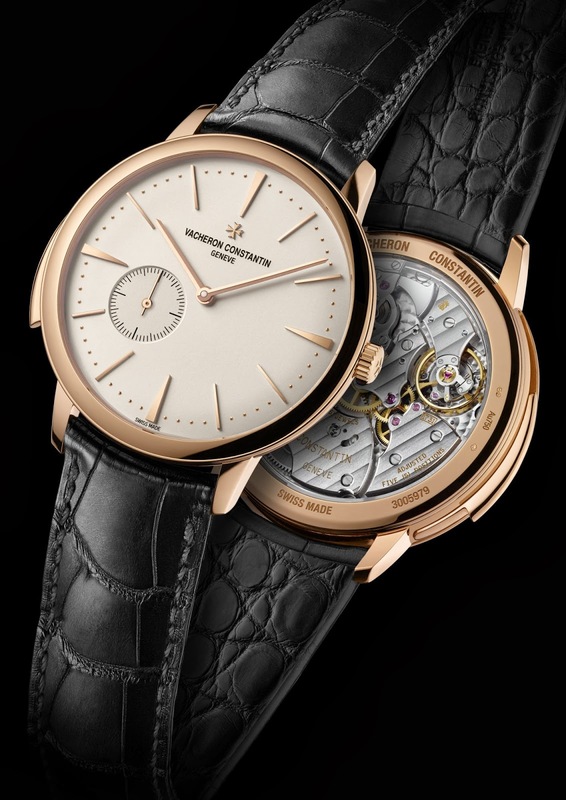 While the new Patrimony Contemporaine Ultra-Thin Calibre 1731 has remained loyal to its timeless design codes, its case has been the object of subtle and complex workmanship so as to form a unified whole with Calibre 1731 and to set a double record: the thinnest minute repeater movement (3.90 mm) housed inside the slimmest minute repeater watch (8.09 mm). The curve of the case middle has been accentuated so as to trim down the silhouette, while the sapphire crystal case-back has been opened as broadly as possible so as to reveal the hammers, along with a rare glimpse of the gongs. On the dial side, Vacheron Constantin has opted for an extremely elegant small seconds offset at 8 o’clock, the first in the Patrimony Contemporaine line: a useful and playful way of making the Patrimony Contemporaine Ultra-Thin Calibre 1731 instantly recognisable.